For the Riot Grrrls and the girls who look up to Patti Smith. For the girls who want to learn bass and scream into a microphone. For the girls with cameras, paintbrushes and tattoo guns sick of having to justify doing what they love to a white-cis-male dominated industry. 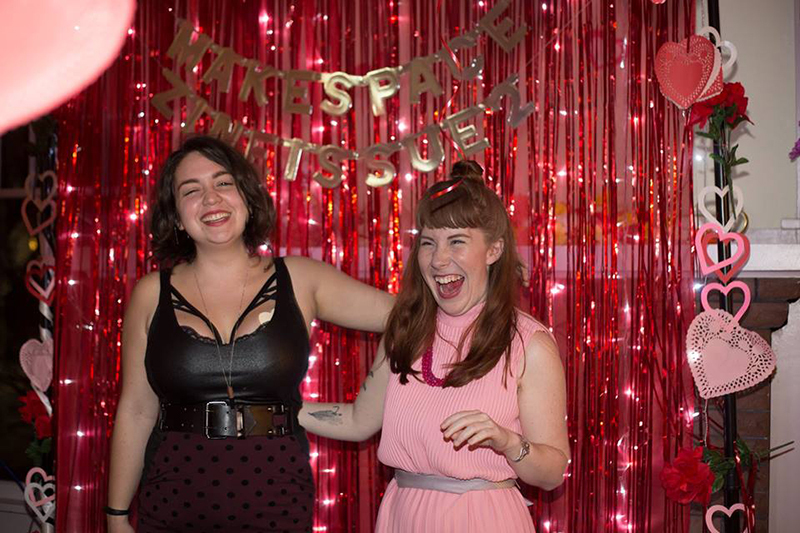 Caitlyn Edson and Jazzlyn Stone believe that all female and non-binary artists deserve to create freely and proudly in their own spaces and have created the Make Space Zine to foster this idea. 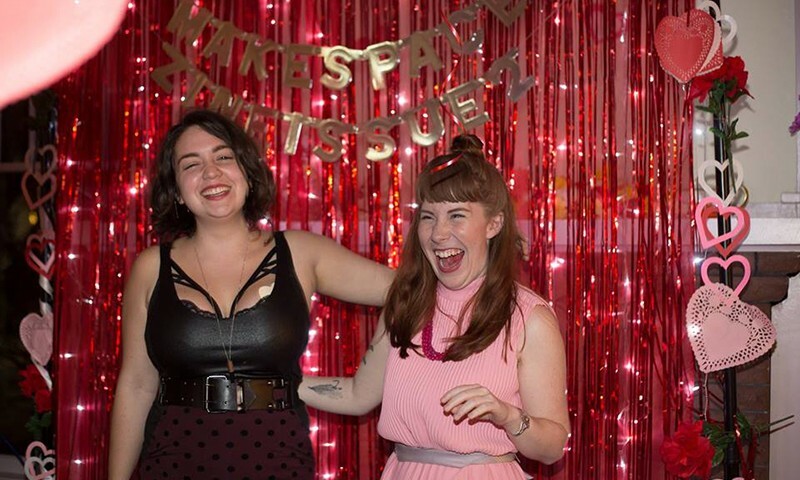 Their mission is to meet ambitious, prolific artists and document how they work, to have conversations about making art safer for females and to share the message that art is for everyone. “We want to talk about spaces that aren’t being talked about enough,” says Edson. There is a serendipitous nature to artistic work that has the power to illuminate important ideas, spaces and friendships. Edsen and Stone didn’t anticipate that they’d go from hanging out listening to ’90s hip-hop together to collaborating on an expansive creative project, but it quickly became a fervent priority for the both of them as they began exploring the relationship between artists and their spaces—whether that means a studio, a closet or a darkroom. Stone’s film photographs and portraits juxtapose biography vignettes of the artists written by Madsen, giving a shameless and intimate glimpse into places of sacred expression. Stone grew up in Salt Lake and began making zines as a teen, participating in alt-press events at the Downtown branch of the Salt Lake City Public Library. As she and Edson became friends, they realized they had this hobby in common. “It went like this: ‘You like making zines? I like making zines! Let’s make a zine together!’ Eventually the conversation got more pointed and the concept evolved pretty organically,” Stone says. In mid-2015, Edson discovered the that beautiful, Victorian home she and several other people live in was scheduled to be torn down and replaced with condos. In an attempt to immortalize her living space, Stone arranged to take some photographs of Edson in her bedroom as she worked on a writing project. 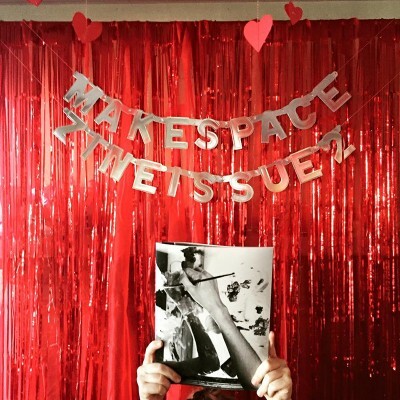 After mutually realizing the power of seeing a female artist’s workspace, Make Space was born. Their first issue, released late in 2015, featured a florist, a photographer, a tattoo artist and Salt Lake printmaker Morgaine Fehlauer, aka ShyGuy Prints. “It’s fascinating and inspiring. It’s very intimate to be in someone’s bedroom or tiny space. It’s been a pleasure to get to know people this way,” says Edson. The zine is quite large at 11” by 14” and looks stunning in black and white. The photographs are subtle and speak more to the process than the final product, examining details of the space and how the artists move within them. Edson’s vignettes are honest and indicative of the artist’s personalities, telling their stories as a friend and supporter rather than someone from an outside perspective. Flipping through the zine, it’s easy to understand the sacred power that comes from the ability to create—they’ve captured it beautifully. “A lot of the zine was a happy accident,” says Stone. “We learned InDesign and made the entire thing in one seven-hour sitting,” says Edson with a bit of a giggle. Much the same way a musician might record an entire album in one session, they were happy to power through frustration and tiredness to be to finish with a tangible magazine in their hands. The large size was unintentional, but seemed to further their point—women belong in the art world and shouldn’t be ashamed or discouraged to take up space.